We, Bob Chao and goescat from Mozilla Taiwan (MozTW) community, are building a badge system to recognize the contribution of Mozilla community members and have fun. This article shows the idea. 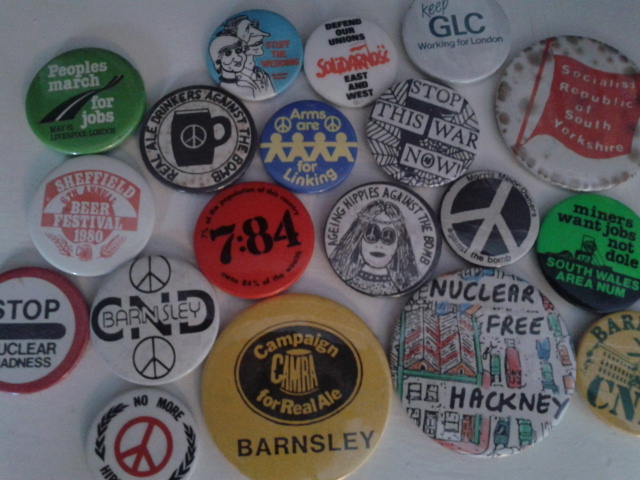 Currently we have a basic structure with few badges as samples, and we are invite people (you!) 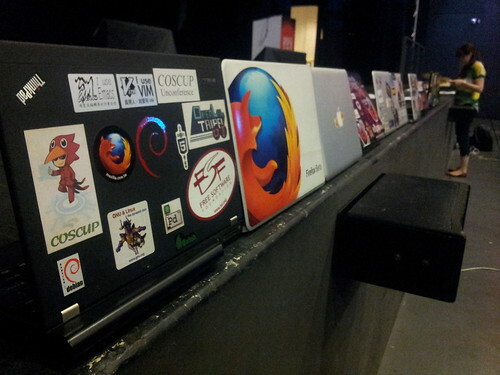 to submit / design more badges with tools, include the (localized) Badge Maker Offline Toolkit provided by Snook. Set up contributing pathway, helping community members to experience more. Identify the ability of community members. 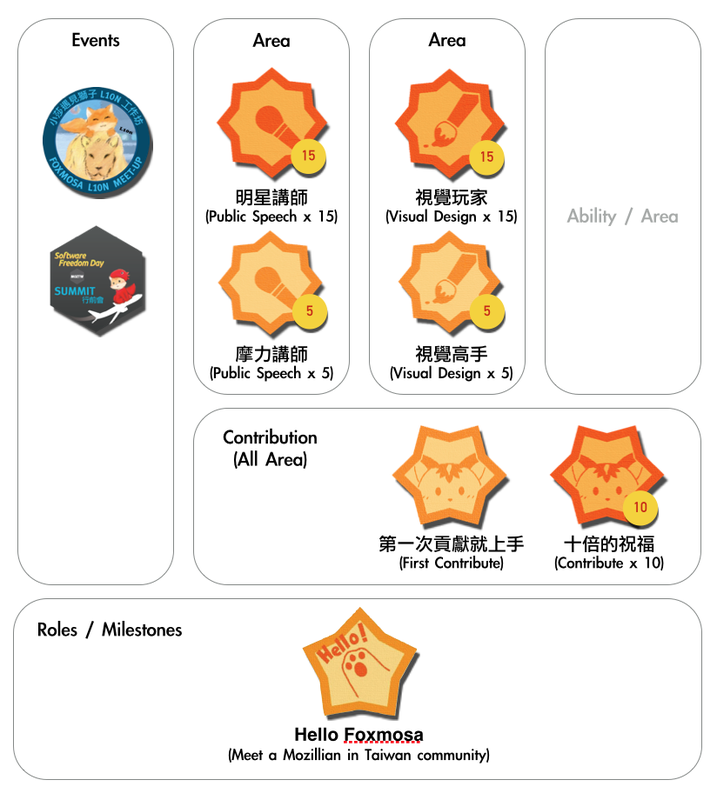 ... and also 4 categories of badges: Events / Achievements, Roles, Abilities, Contributions. 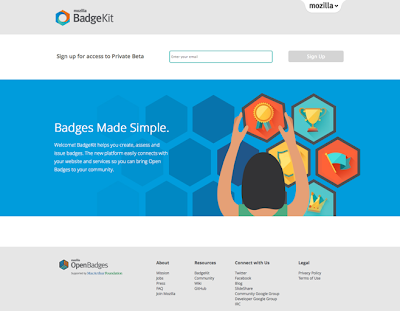 Community members can design their own badges and submit to the system. Once we make sure that the design fits the principles, we will include it to the system. 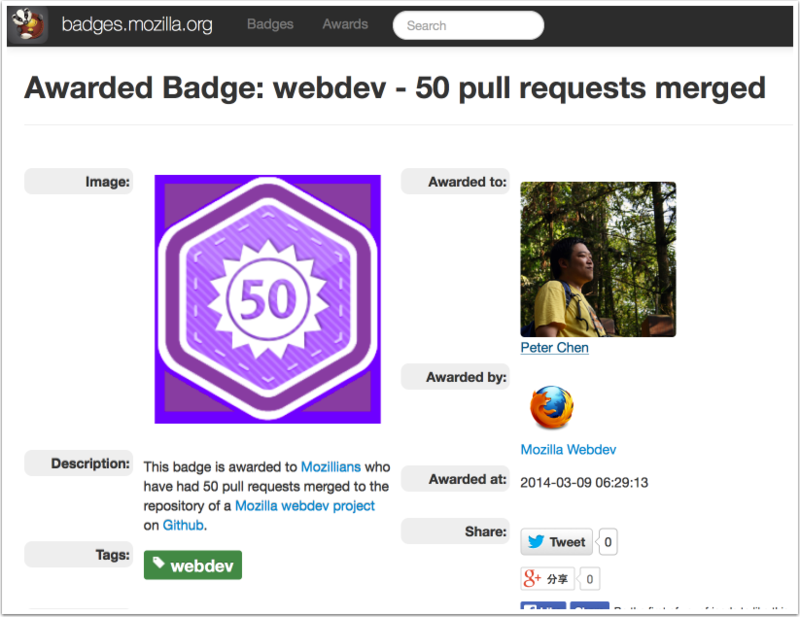 You may have heard that Mozilla designed a few badges for community, like this, this, this, and this. But we still need some badges for things that related to local projects -- MozTW Badges fits the needs, and also works as a hub for different projects to showcase / promote their badges. MozTW Badges is still a prototype, and we are trying to figure out a method to use badge system to encourage people join / enjoy the community. We will keep posting updates on this blog.